When I was little I loved coloring books. I had one for every Disney movie, and one for every fairy tale. I would color the dresses and the pants and shirts with wild abandon. 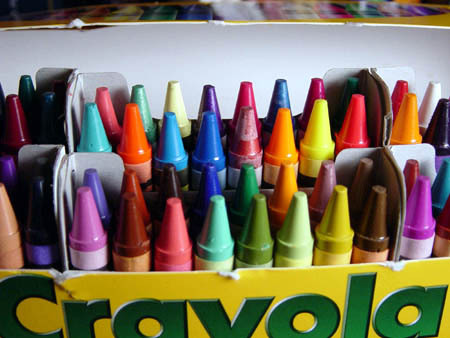 I had a giant box of Crayolas – you know the kind – the ones with every color of the rainbow. But I never colored in the faces of the people. I never colored in their hands and legs and feet. I didn’t because all of them were white like the paper. White was the de facto color. It was – I thought – transparent. I know now that I was wrong. Today, I am committed to equality of representation of people of color in literature and to greater visibility for writers of color. But what does that commitment mean? Or to put it more bluntly, what good does it do for a middle-aged white writer to say “I’m committed to supporting writers and readers of color?” That’s a pretty empty statement, it seems to me, if I leave it at that. So this year, I am going to try to read only writers of color. That includes newsprint. Which means, I guess, I’ll be giving up my subscription to the New York Times and the LA Times, and n+1, and The New Yorker. I guess it means reading periodicals I’ve never read before, like the Los Angeles Sentinel. Does this also mean I’ll drop the PBS Newshour in favor of Al-Jazeera? I don’t know. How I’m going to get news about Whidbey Island, I’m not sure. Because it’s pretty white up here. There will be some exceptions to the rule. I plan to finish reading the books I’ve already started. If you’re a family member I will of course read your manuscript or blog, and if you are a former student or classmate who needs my help with a manuscript, I will help you. I am involved with editing for a literary journal, and I will read whatever comes my way there. I will do what I think best to meet my professional obligations. But otherwise, nope. Where this will lead and what this will accomplish I don’t know. As I write this, I’m not even sure where to draw the color line. Why do I think that Spain is white, and Mexico is not? Why do I think that American Jewish is white, and Israeli Jewish is not? We routinely talk about “white people” and “people of color,” and the distinction is important, but the line-drawing is difficult, uncomfortable, perhaps counter-productive in some cases. And this is not the only part of this project that feels difficult and uncomfortable. But perhaps that makes the project interesting, and worthwhile. What do I hope for? I hope to help writers of color that I admire by reading them and blogging about them, but I guess I hope to be changed personally as well. I hope to understand more clearly what those paper-white faces of Sleeping Beauty and Cinderella meant to me and mean to me now. I hope to understand better what it’s like to read as a possible foreigner – to not see myself represented in a way that I recognize or like. Perhaps I won’t see myself represented at all. Maybe I’ll write differently. So here goes. I’m going to begin with my former colleague Laila Lalami’s novel, The Moor’s Account. I agree. Where do we drawl those lines? Kaye — for some reason I am just seeing this comment now in March! Thank you for reading and commenting. I don’t know where those lines are, and I’m interested in blurring them as well as understanding them. See my most recent post on jewishness. I have a feeling that it isn’t up to me — as a very privileged white person — to draw lines, but rather to try to interrogate them, if that makes sense. Thanks for your question, and sorry I took so long to answer!